Mad Men: Selling You More Than Just Entertainment. Let me just begin with this statement: I hate Mad Men. I actually seethe at the sound of the name of that television program. Every time anyone ever tries to ask me if I have ever seen them, I can’t resist the exploding urge to scream “Absolutely not!” And what you might ask is the reason? From what I’ve learned since involving myself in national tobacco strategy is that tobacco advertising is highly censored. The industry players are by law not permitted to advertise or attach any sort of gimmick or free item with the sale of their products. It is a constant litigation battle between companies and the government to fight for as much ad space as they can get or for the later, revoke. Since the elimination of the power walls, the imposition of health labels on cigarette packages, the constant reduction of the design space on their cartons, tobacco companies desperately seize any opportunity to reach their consumer clients. In Australia, all logos and colours have been banned. The entire carton is a health warning with the brand name of the cigarette company displayed in uniform writing without any particular embellishments. And so what did they do? Well my theory (not fact, just my own musings) that tobacco companies discovered this huge loophole in accessing their target audiences. Imagine them contemplating how to overcome the hurdles of not being able to advertise on primetime television. Well if we can’t advertise on them, let’s just make one up on our own! And that’s exactly what they did! It’s important to think critically, approach media influence with caution. They’re sneaky. Don’t let them get to you and if you’re so swayed, join me in my personal boycott and dissemination of this knowledge. Ps. Sales of both Lucky Strikes and Canadian Club (Whisky) sales shot up after the airing of the first season of Mad Men. 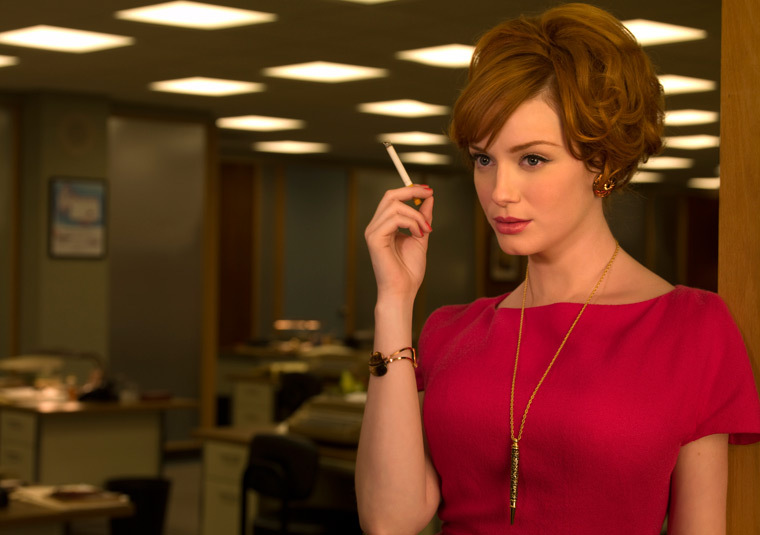 I would be willing to bet that Mad Men would continue to be privately funded by the tobacco industry long after consumers have lost interest in the show’s plot. What do you think?